WEAR THAT SFFOA/FFARA LOGO PROUDLY! We have some great merchandise available that has even made it to the NFL. That's right our very own Alberto Riveron wears his SFFOA underarmour shirt on Sunday's during the season. It is an NFL tradition that officials wear an undershirt from the association where they got their start. We tried them, made suggestions, and now the end result is here. 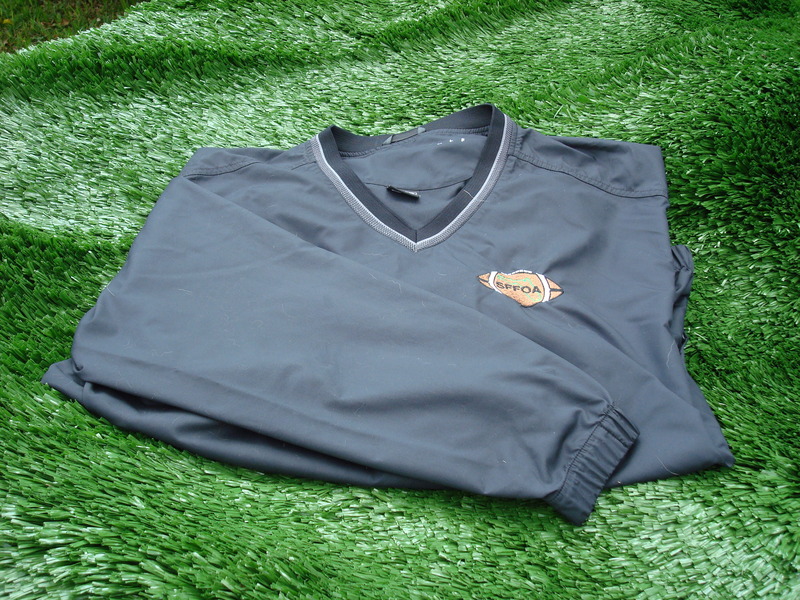 The shirt is made of a snag-free moisture wicking material, and the sleeves have been altered to a 1/2 length to prevent showing through your game shirt. Shipping is additional. Developed by the same company that makes the coins for the NFL. Great for referee's and also makes a great conversation piece wit other officials. Shipping is additional. A classic Fox40 whistle or NEW classic eclipse with the SFFOA logo in gold. Shipping is additional. Starting in 2006 all officials will be required to use orange bean bags. Inspired by the Sun Belt and Conference USA the SFFOA realizes with the conditions of some fields it will be easier to spot. These beanbags are being sold to our members at cost. WILL NOT BE SOLD OUTSIDE OF MEMBERSHIP! A great way to cover up your stripes before or after a game! This lightweight pullover by Nike features a V-neck design along with two side pockets. LIMITED SUPPLY! ONCE THEY SELL OUT, THEY ARE GONE! !